Our Strength is Caring, Our Focus is You! Carmen is part owner of Body Mind Healing, LLC. She is a licensed professional counselor in Georgia and Washington, DC. Her experience includes psychotherapy for anxiety, depression, trauma, grief, addiction and recovery for clients and their loved ones, and life transitions. During the past 12 years, Carmen has worked as a psychotherapist focused on trauma, addiction, HIV/AIDS, hospice counseling, and private practice in Washington, DC. She specializes in using mind-body therapies to bring about healthy change. Carmen is certified as a Level 1 Clinician in Sensorimotor Psychotherapy for Trauma, and is trained in the Meridian Tapping Technique, an energy psychology modality used for anxiety and depression. She uses Movement Therapy for trauma, and is currently studying research-based Dance/Movement Therapy for trauma and mental health. She earned her master’s degree in Counseling from Marymount University. Carmen is a poet and writer who uses journal and poetry therapy, along with other creative arts therapies. As a former radio and voice-over artist, Carmen produced three guided meditations for stress reduction that are available at YouTube.com and for download at Amazon.com and cdbaby.com. Dr. Laurie Fairall is a Licensed Psychologist. Originally from Maryland, she has been living in Florida for nearly twenty years. 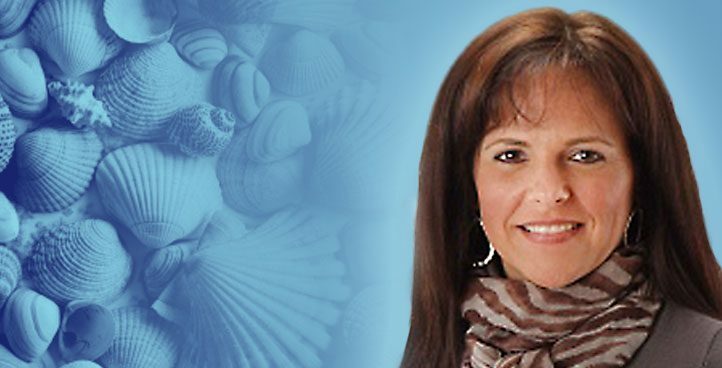 Dr. Fairall completed her Doctoral degree in Clinical Psychology at Nova Southeastern University in Fort Lauderdale, Florida. She is currently licensed in Florida, Georgia and Texas. Most recently, Dr. Fairall became a Florida Supreme Court Certified Family Mediator. In addition to outpatient behavioral health, Dr. Fairall now offers Family Mediation Services, including Dissolution of Marriage, Prenuptial Agreements, child custody issues, parenting plans/visitation arrangements, child support and/or alimony modifications, and many other situations that families may encounter during times of transition or when planning for the care of their loved ones. The most complex cases are Dr. Fairall’s area of expertise. Dr. Fairall also conducts psychological testing services. Colleen is in private practice for herself. She is a Licensed Clinical Social Worker (LCSW) who believes that successful therapy comes from a relationship built on mutual trust, respect, and collaboration. Colleen specializes in helping children diagnosed with ADHD. Her work with children is focused on utilizing play therapy, cognitive-behavioral techniques and behavior modifications. Her therapeutic approach is based on establishing a genuine, trusting relationship with her clients. Colleen also works with adults struggling with anxiety and depression. Colleen helps clients gain insight into their patterns of thinking and behavior, so they can move forward to reach their goals with greater self-awareness. Colleen also has experience working with children of divorcee's and has facilitated numerous presentations and workshops on the topic of divorce. Colleen received her BA from Rider College (NJ) and her Masters in Social Work from the University of Louisville (KY). Colleen is Licensed in Florida and Georgia. She is Board Certified by the American Board of Examiners in Clinical Social Work, has a certification in Employee Assistance Program Counseling and is a Certified Clinical Trauma Professional. She is a member of the National Association of Social Workers, Florida Social Work Association and the American Clinical Social Work Association. Colleen enjoys spending time with her family riding bikes on the beach. She her website for more information about the insurance plans she accepts www.colleenshain.com. Ricardo Villalobos, LPC. of Body Mind Healing, LLC. Ricardo is part owner of Body Mind Health, LLC. 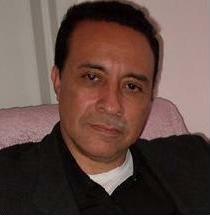 He has more than 10 years experience as a psychotherapist and counselor. He specializes in addiction and trauma treatment for individuals, couples and families. The treatment modalities he uses include Sensorimotor Psychotherapy, a mind-body approach to working with trauma; Emotion-Focused Therapy for Couples; Relationship Enhancement Therapy for Families and Couples; and Psychobiological Approach to Couples Therapy (PACT). In addition, he uses expressive arts modalities, Cognitive Behavioral techniques and the Emotional Freedom Technique (aka Tapping). He is bilingual in Spanish and English and adept at handling multicultural and complex cases. He is a seasoned trainer and teacher for clinicians and clients, and enjoy designing and presenting curricula. Ricardo earned his Masters in Counseling Psyhcology from Marymount Univeristy and a BA in Psychology and Social Work from the University of Illinois at Urbana-Champaign. Ricardo loves to cook! Megan specializes in using mind-body therapies, mindfulness, and body-centered psychotherapy in the treatment of anxiety, stress reduction, depression, trauma, grief, chronic illness, inner child healing, life transitions, and personal growth. She is a 2016 graduate of Prescott College with a Masters of Science in Clinical Mental Health Counseling with a focus in Somatic Psychology. She has been a licensed massage therapist for 24 years and is certified in both Process Acupressure and Zero Balancing. Both ZB and PA are hands-on body-mind systems that help clients fully integrate all levels of themselves: mind, body, emotions, and spirit. Megan believes that each client is the expert on their own healing, and works collaboratively with them to determine which approaches work best. Megan is a published author on Therapeutic Relationships and serves on the Ethics and Discipline Committee for the National Certification Board for Therapeutic Massage & Bodywork. In her spare time, Megan loves yoga, reading, art, and living near the beach.